Add the coconut oil to a saucepan then add in the minced and onion, fry over a medium heat for 5 minutes. Add in the chopped carrots, mushrooms, can of chopped tomatoes, vegetable stock, tomato puree, garlic and black pepper. Bring to the boil then reduce to a simmer and leave for 20 – 30 minutes (until the carrots have softened and the sauce thickened). 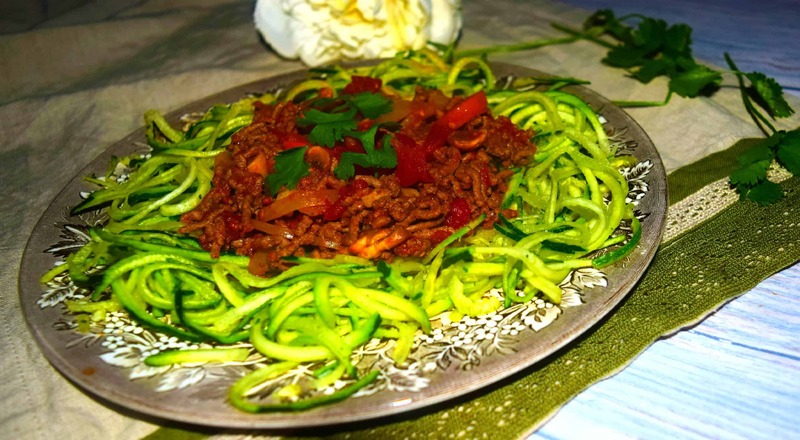 Using a spiraliser – make the courgette/zucchini noodles then fry them for 5 minutes and serve.